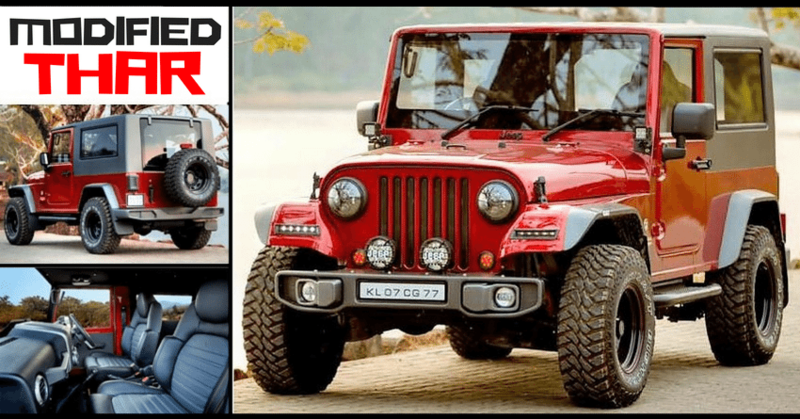 Modified Mahindra Thar by Redfox Autocare India: A few years back, getting yourself a Mahindra Thar cleared the fact that one day or the other, you dream of getting dirty in the mud. The perception has changed a lot in last few years with listing Thar under lifestyle product list. 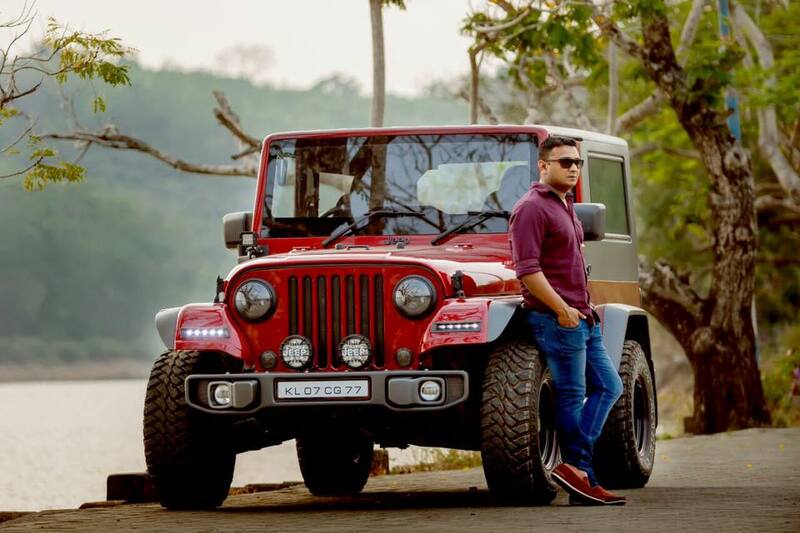 These days, fans of Thar have bought these SUVs to simply rule the road with much higher power under a slight tap than most others of its segment. 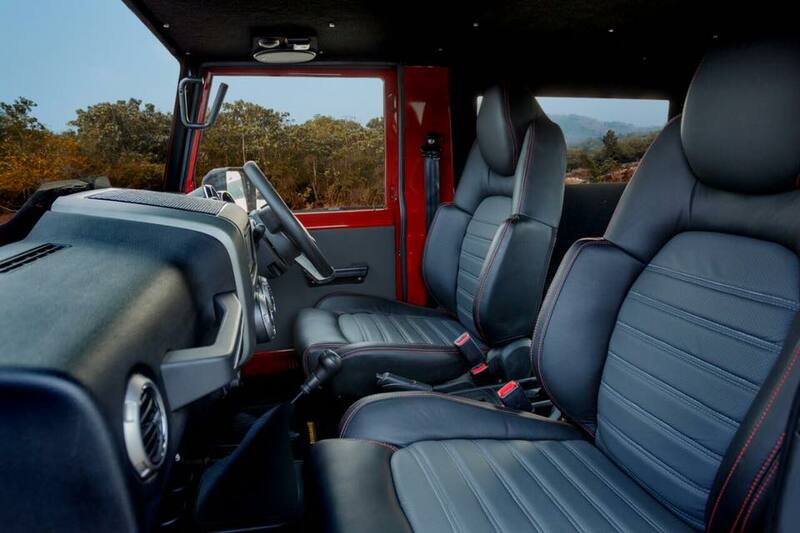 More than that, they get that high seat commanding driving position and power to go over any kind of road in their way. 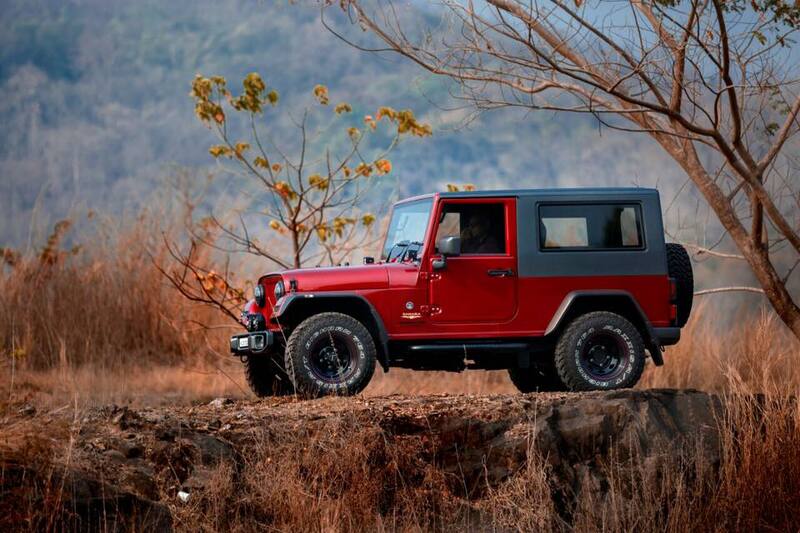 Even if suddenly the road disappears, Thar owners would be seen partying around the town. 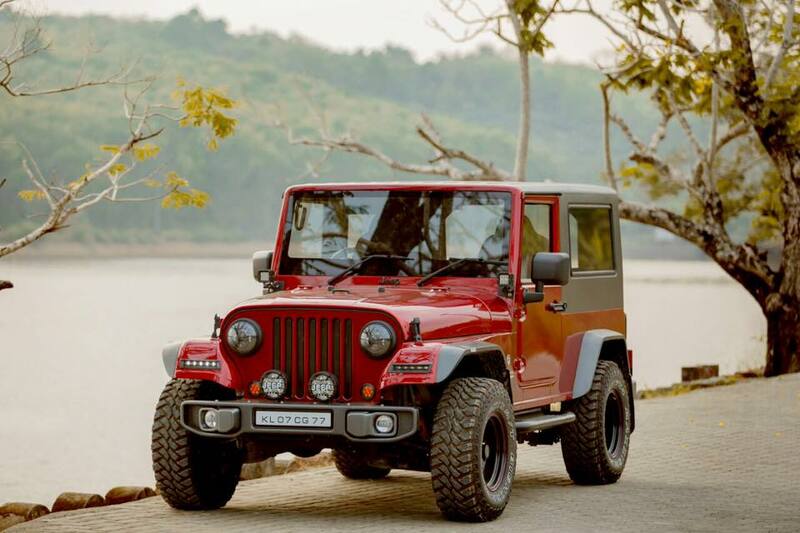 Redfox Autocare India understands the emotions of customers with Thar and thus, came forward with this Jeep Wrangler inspired example for intense road presence. The car comes with extra wide fenders to support those massive tyres. 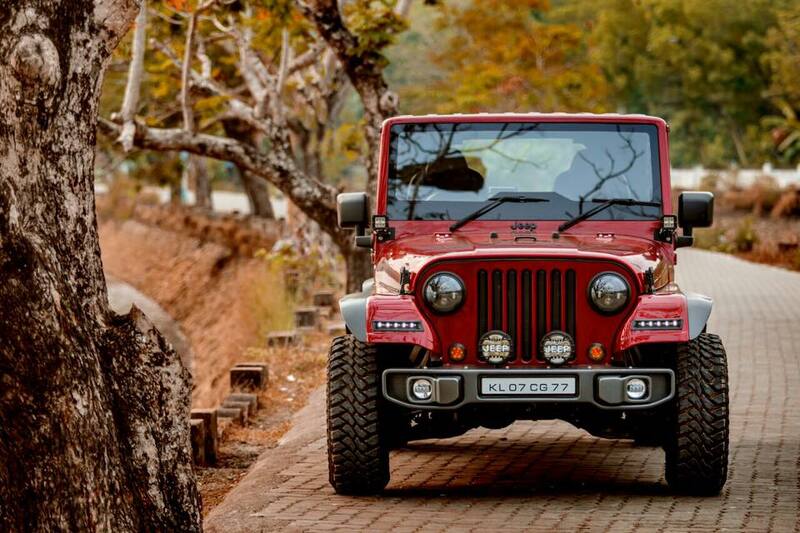 The front is now offered with a custom designed bumper, fender embedded LED lights and windshield mounted twin LED lights. 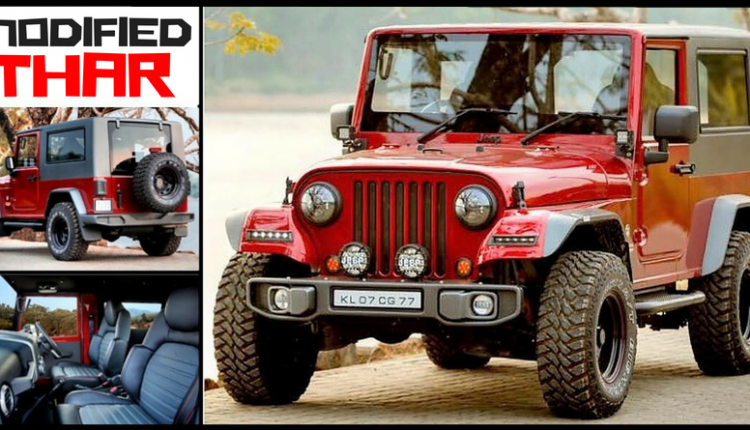 Replacing the stock windshield, Redfox offers a typical Wrangler inspired unit fixed with matching hardtop that runs parallel to the ground. The grey unit is fixed and comes with long non-removable glass window for better outside view from the rear seats. 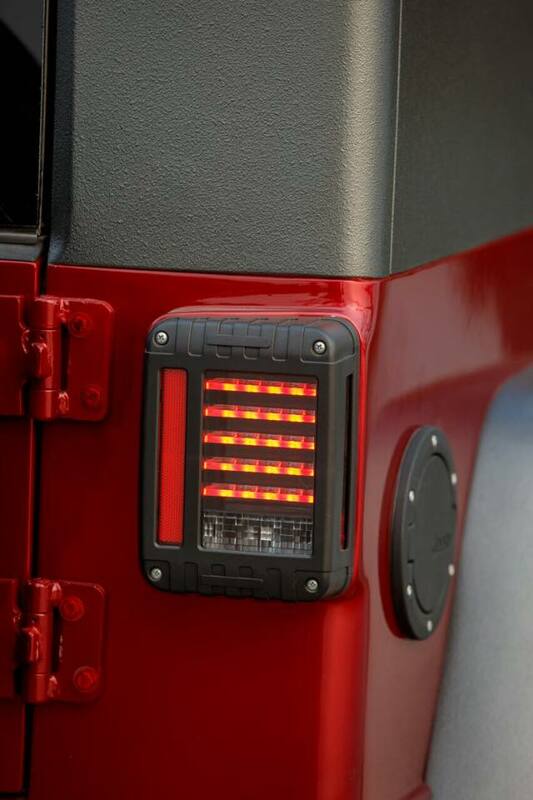 The stock version of Thar comes with halogen lights while tail lights on this one support LED lights enclosed within a casing. 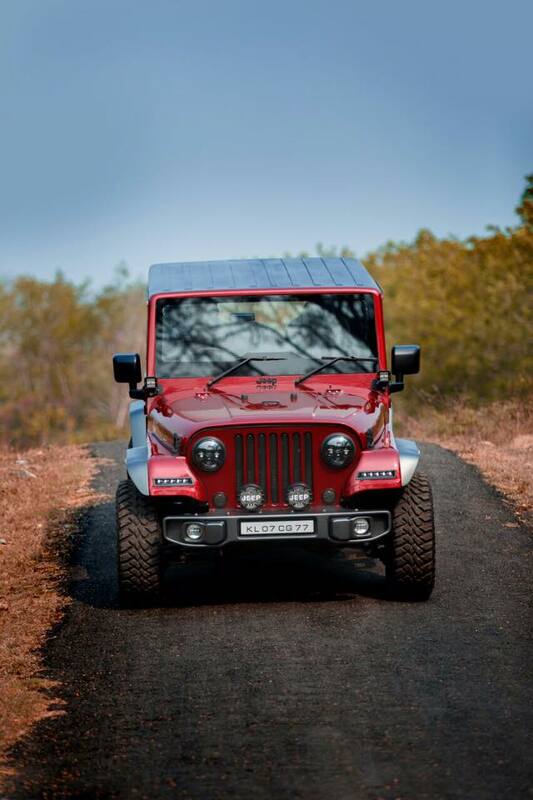 Mahindra Thar is available in two different engine options with more powerful one producing 105 BHP and 247 Nm. 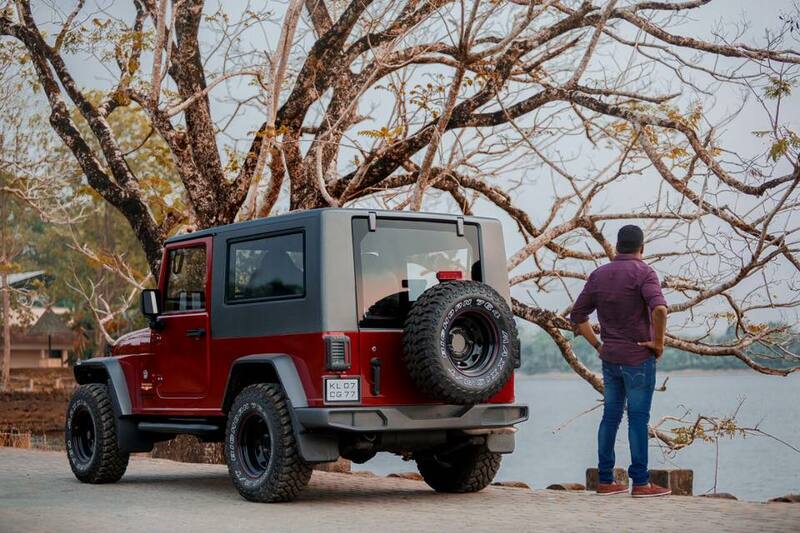 The stock car can be had under INR 10 lakh (on-road) while the cost of modification is unknown.